Posted on 22nd September 2016 by Jenii Lowe. How can I make my marketing copy more persuasive? This one is of paramount importance in any marketing efforts. We like to think we’re completely logical, but when it comes to making purchasing decisions, emotions rule the roost. Though communicating your facts and figures is important, you need to empathise with the reader and focus on the emotional reasons that people buy from you. Even if you provide products or services to businesses, you still need to retain a human element – it’s people who make the decisions after all. People are generally quite mistrustful of the dreaded “hard sell” these days, so fill your text with how you can help solve issues rather than a list of your offerings and why they’re great. You will need to mention the things you provide of course, but frame them within the emotions that go into purchasing what you sell. For example, if you are producing marketing materials for cleaning services, you need to talk about the convenience and peace of mind that you provide by doing all of the icky jobs that people hate. If you’re selling beauty products, remember the way your products make people feel – desirable, confident, the best version of themselves. If you’re promoting IT support, you may want to appeal to people’s concerns about security and data loss, and focus on keeping people’s important data and treasured memories in tact. You get the idea. Aim for clarity in everything you write. It’s good to display your knowledge of your field, but if you lean too heavily on industry terms, you shut out people who aren’t familiar with your niche. And if there’s one thing that copy shouldn’t do, it’s exclude people. 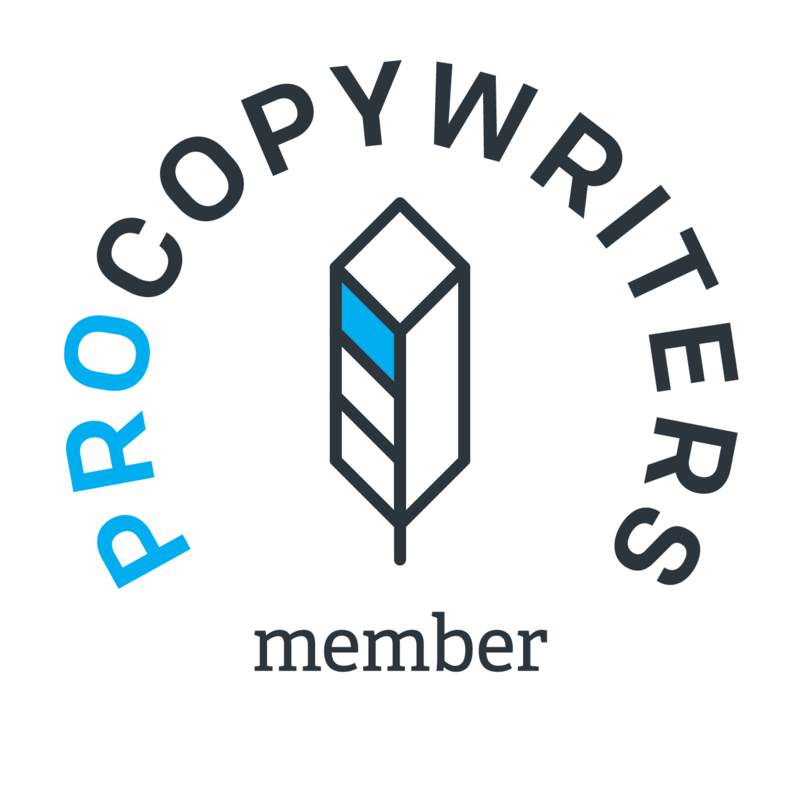 Well-written copy should appeal to all levels of expertise; in fact it’s usually the people who are the most unfamiliar with your field that need help the most! So don’t blind people with science. If you are dealing with an abbreviation or a jargon word that some folk are unlikely to know, always provide an explanation within the text or in brackets. Once an abbreviation is explained, it’s ok to go through the rest of the piece referring to the abbreviated version. Similarly, have you ever come across copy like this? On the whole, overly grandiose writing is generally a bad idea. Always simplify wherever possible! You should always have an ideal outcome in mind for every campaign you run and every piece of copy you produce. This goal is usually something that you want your customers to do; to buy a specific product or service, sign up for updates, or perhaps to visit you online or in store. Translate the customer action that you would most like the customer to take into a call to action. Remember to give all of the information that the prospect will need to fulfil that action – there’s nothing worse than a “Check Out our Website” where the site is either not provided or is in a strange place that the customer has to go hunting for it. Messing this up the practicalities of a call to action in this way will leave a poor impression on your customer, undoing the good work of your copy. Navigating the intricacies of human psychology for marketing purposes may seem like a minefield. But by remembering these 4 tenets to writing persuasively and practically, you’ll leave a great lasting impression on your reader. If you’re interested in reading more about the psychology behind marketing, check out my previous article, Marketing Psychology & The Reptilian Brain. 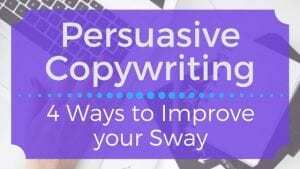 So reader, do you have any persuasive copywriting tips you’d like to share? What kinds of copy push you away? What kinds of copy do you like to see out in the marketing wilds? Let’s have a natter over on Twitter where I’m @JeniiLowe.